NASA’s Juno is a mission of discovery and exploration that will conduct an in-depth study of Jupiter, the most massive planet in the solar system. Juno is designed to peer for the first time through Jupiter’s thick clouds deep into its atmosphere. The goal of the mission is to better understand the origin and evolution of this gas giant planet, and pave the way to a better understanding of our solar system and of the planetary systems around other stars. Juno is focused on four major areas of investigation. (1) Jupiter’s solid core and abundance of heavy metals in the atmosphere make it an ideal model to understand the origin of giant planets. Juno will measure global abundances of oxygen and nitrogen by mapping the gravitational field and using microwave observations of water and ammonia. (2) Juno will map Jupiter’s gravitation and magnetic fields, revealing the interior structure, the origin of the magnetic field, the mass of its core, the nature of deep convection, and the abundance of water. (3) Jupiter has the most massive atmosphere of all the planets. By mapping variations in atmospheric composition, temperature, cloud opacity and dynamics to depths greater than 100 bars at all latitudes, Juno will determine the global structure and dynamics of Jupiter’s atmosphere below the cloud tops for the first time. (4) Jupiter’s powerful magnetospheric dynamics create the brightest aurora in our solar system. 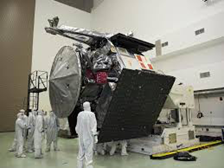 Juno will measure the distribution of the charged particles, their associated fields, and the concurrent UV emissions of the planet’s polar magnetosphere, greatly improving our understanding of this remarkable phenomena. Juno entered orbit around Jupiter on July 4th of this year. A trim burn in October adjusted its orbit to bring its closest approach much nearer the planet. It will reach this point in its orbit in early December and the results from the close flyby should be back and preliminary analyses ready by the beginning of the new year. This lecture will discuss the Juno mission, its instrumentation and its objectives, the results that have been returned thus far and what they tell us about the Jovian system, the formation of the solar system and about the planets and solar systems around other stars. Scott J. Bolton is the Principal Investigator for NASA’s Juno mission. He also is Associate Vice President of the Southwest Research Institute’s Space Science and Engineering Division, and he holds a special appointment as Senior Staff Scientist at the Jet Propulsion Laboratory. Among many previous positions with NASA, Scott served the Galileo mission as a member of the plasma spectrometer team and plasma wave instrument team and chaired the Titan science group of the Cassini-Huygens mission, Scott’s works primarily in the planetary sciences with a focus on the giant planets and the origin of the solar system. His research includes modeling of the Jovian and Saturnian radiation belts, atmospheric dynamics and composition, and the formation and evolution of the solar system. He has authored over 250 scientific papers, five book chapters, and consulted and appeared in five major space science documentaries. In addition to his research, Scoot leads several educational outreach programs aimed at developing science, math and art skills for young students, including the Juno Educational Outreach Program, among many other such efforts. He produces concerts, art exhibits and documentaries through his company, Artistic Services, aimed at inspiring children to pursue their education. Among other notable educational projects, Scott worked with the composer Vangelis (Chariots of Fire among many others) to create the Vangelis Foundation in Athens, Greece dedicated to the combined study of Science, Math, Art, Music and Philosophy. And he has worked with a variety of companies to develop educational toys, including Lego, which includes models of Jupiter and its two largest moons in some of its kits. Among many awards, Scott is the recipient of JPL Individual Awards for Exceptional Excellence in Leadership and for Excellence in Management, over twenty NASA Group Achievement Awards, the NASA Exceptional Achievement Medal and the NASA Outstanding Leadership Medal. Scott earned a BS Aerospace Engineering at the University of Michigan and a Ph.D. in Astrophysics at the University of California – Berkeley. President Larry Millstein called the 2371st meeting of the Society to order at 8:08 p.m. He announced the order of business and welcomed new members. President Millstein presented a summary of the 33rd meeting of the Society, held in 1872. The minutes of the previous meeting were read and approved. President Millstein then introduced the speaker for the evening, Scott Bolton, Principal Investigator on the JUNO Mission, Associate Vice President for Space Science and Engineering at the Southwestern Research Institute, and Senior Staff Scientist at the Jet Propulsion Laboratory. His lecture was titled “Juno’s Exploration of Jupiter”. Dr. Bolton began by explaining that Juno is the second mission under NASA’s New Frontiers program—the first was the New Horizon’s mission to Pluto, which Dr. Alan Stern presented to the Society in April of last year. Dr. Bolton explained that the Juno mission is similarly ambitious: To use Jupiter as a window into the earliest period of the solar system to learn how the planets formed. Dr. Bolton explained that this is why studying Jupiter is so important. Because it formed early and is so massive, Jupiter had sufficient gravity to hold on to the original hydrogen and helium present in the nebula as planets were just forming. As the 1995 Galileo mission atmospheric probe showed, Jupiter is also enriched with heavy elements such as Argon, Krypton, Carbon, and Oxygen, but in a uniformly different ratio than those elements are present in the sun. These data invalidated every then-current theory of planet formation, and set the stage for a closer investigation of Jupiter in the Juno mission 20 years later. The Juno instrumentation was chosen to examine Jupiter from two scientific angles. The first is gravity science, with the goal of answering questions such as whether Jupiter has a rocky core of heavy elements—meaning they were present in the early solar system. The second is water abundance, as measured by Juno’s microwave radiometer, which receives in different frequencies to pick up thermal radiation from as deep as 600 kilometers below the visible cloud layer. This will help map water and ammonia abundances in the atmosphere around the planet, and provide clues as to how the planets got their heavy elements. Old theories of water on Earth suggested that it came from comets, but the water in comets we see is of different isotopic ratios, meaning that we need a new theory for Earth’s water. Observations about the abundance and isotopic ratios of oxygent in Jupiter can provide a piece of this puzzle. Juno’s science objectives also include characterizing Jupiter’s magnetic field, which is the strongest in the solar system. Dr. Bolton then presented a summary of findings from the early Juno data. The microwave radiometer data showed that the color bands on Jupiter closely track temperature variations, even hundreds of kilometers into the atmosphere. The radiometer data also identified a vast high pressure “geyser” of ammonia emerging at the equator from deep in the planet, an unpredicted and as yet unexplained phenomenon. Juno’s gravity science package has produced similarly unprecedented findings. The data do not yet indicate whether Jupiter has a solid core, but they have already shown that all existing models for Jupiter’s shape are wrong. Juno’s electromagnetic field sensors similarly observed contradictory data about the magnetic field around Jupiter that was not fully consistent with any of the models. One potential explanation for the preliminary data may be that the magnetic field of Jupiter emanates from far closer to the surface than originally predicted. This could indicate that the layer of liquid metallic hydrogen, which acts as a dynamo to create the planet’s magnetic field, is actually closer to the surface than prior models predicted. Juno’s visible light camera revealed that the poles of Jupiter have none of the familiar orderly color bands in shades of red that mark the rest of the planet. Instead, the poles are a mix of transient circular storms in shades of blue, including funnel clouds 80 kilometers tall and half the diameter of the Earth. Dr. Bolton concluded by noting that 400 years ago, Galileo first discovered moons orbiting Jupiter, working alone with only a crude telescope. Today, the Juno mission is collecting a wealth of data about Jupiter, and it is being shared freely with the scientific community and amateur astronomers alike, opening the door to still greater discoveries. One questioner asked about the Migration Theory, which suggests that Jupiter and other planets may have changed their orbits. Dr. Bolton explained that Juno will provide some insight into the distance from the sun at which Juno formed, but will not provide definitive evidence that any particular migration model is accurate. After the question and answer period, President Millstein thanked the speaker, made the usual housekeeping announcements, and invited guests to join the Society. At 10:12 p.m., President Millstein adjourned the 2371st meeting of the Society to the social hour.